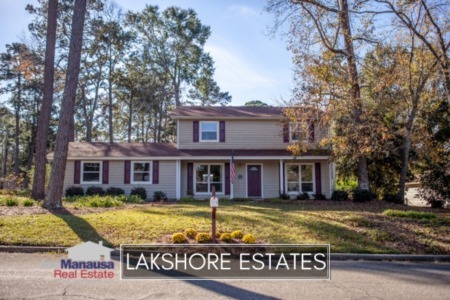 Lakeshore Estates is a neighborhood on the North side of Tallahassee that is often overlooked by buyers who have constrained their property search to only include homes in the NE quadrant of the Tallahassee real estate market. Similar to our recently reviewed Pine Tip Hills, Lakeshore Estates sites just west of the East-West boundary line in Tallahassee, so it offers the location that many buyers are seeking with current prices far lower than what they will pay to be on the other side of the boundary line. 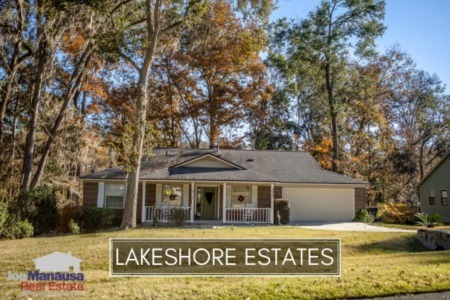 In this report, we will look at average home prices, average home values, and average home sizes in Lakeshore Estates, as well as show current listings in the Tallahassee MLS and all closed home sales going back to 1991. Average home prices rose 8% in 2014 versus 2013, and now remain 26% below the peak of the market prices established in 2007. Average home prices are still rising as the average recorded sales price is $154,700 for Lakeshore Estates thus far in 2015. Home sales activity this year has started off very nicely, where the number of home sales is consistent with the most active years from 2002 through 2006. Through the first quarter of 2015, there have been 7 closed home sales in Lakeshore Estates. Average home values in Lakeshore Estates rose 8% last year, but have retreated all the way back and then some thus far in 2015. I believe this is more of a math anomaly than it is a market event (meaning right now the combination of larger home selling combined with a few distressed home sales are making the average price per square foot of closed home sales decline). I would expect this number to rise as the year progresses. Through the first week of April, the average value of a home sold in Lakeshore Estates has been $84 per square foot. This represents the lowest values since 2002 and if buyers can still find homes at $84 per square foot, they should jump on them as these cannot be replicated (click this link for the current best buy in Lakeshore Estates, prced at just $85 per square foot). The average home size sold in Lakeshore Estates typically falls in a range of 1,500 to 1,800 square feet, and this year buyers have established a new high. The 7 home sales thus far in 2015 have averaged 1,815 square feet. I hope you enjoyed our April 2015 update on home sales in Lakeshore Estates, please feel free to drop me a note if you have questions not covered in this report.